RV Service Manuals, Campers, etc. It's time to satisfy the itch of wanderlust and pack into the RV or camper and hit the road. You hop inside the driver's seat, insert the key, and then - nothing. It won't turn over. Are you prepared to fix the problem? If you have the right RV repair manual from the Motor Book Store, then you've successfully planned ahead. If not, then it's time to place your order. At The Motor Bookstore, we carry recreation vehicle and camper repair manuals for the most popular makes and models to make DIY repair a breeze for any owner, whether you're a weekend wrench monkey or a seasoned mechanic. As an RV bookstore, we carry a wide range of repair manuals to help you work on everything from your electrical systems to plumbing, mechanical, appliances and more. Our inventory includes Woodall, Motorbooks Workshop, McGraw Hill, Bentley Publishers and Clymer manuals. If you don't see the repair manual for your particular camper or RV, a member of our friendly staff can help you get your hands on the materials you need. We welcome you to explore the countryside and turn any space into your campground without being slowed by breakdowns. Our RV manuals allow you to review seasonal maintenance tips and points to check before hitting the open road. Preventive maintenance will allow you to roam freely. The Motor Bookstore makes it easy for you to find maintenance and repair manuals for servicing your vehicle. Our uninitiated customers are always surprised by how easy-to-follow and user-friendly some of the available guides are. We recommend storing repair manuals in your glove compartment or other easily accessible space so you'll always have it handy. These reference materials help you become your own mechanic and repair technician with thoroughly explained procedures, detailed descriptions and clear photographs of components. With a hard copy of the repair manual for your camper or RV, you can take diagnostics and repairs into your own hands. 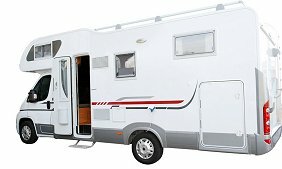 Make the most of your family vacations or retirement plans without having to worry about RV repairs. Stop wherever you need to with the reassurance you have the reference materials you need to make essential repairs while you're away from home. Maintain your family's RV and get ready to roam.